Clarksville, TN – Every spring, the Austin Peay State University Candlelight Ball provides an evening of fine dining and dancing, while also allowing participants to support scholarships at Austin Peay State University, and this year’s event will include two signature auction items – a custom-designed diamond necklace and a Music City package featuring tickets to major Nashville events – valued at more than $5,000 each. 14-karat rose gold necklace to be auctioned off at the Austin Peay State University Candlelight Ball. Clarksville, TN – Clarksville-Montgomery County is poised to welcome nearly 3,000 guests next week for three divisions of the Amateur Athletic Union’s Boy’s 10-and-Under National Basketball Championships. Since 1999, Clarksville has hosted dozens of regional and national AAU basketball events. 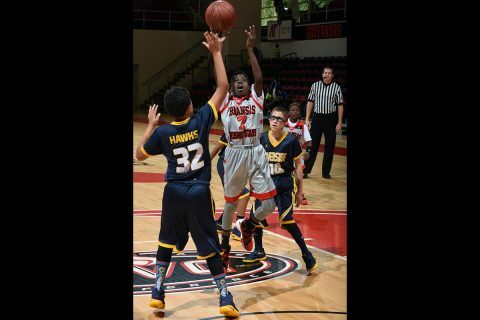 AAU Boys’ Basketball National Championships set for July 6th-11th. 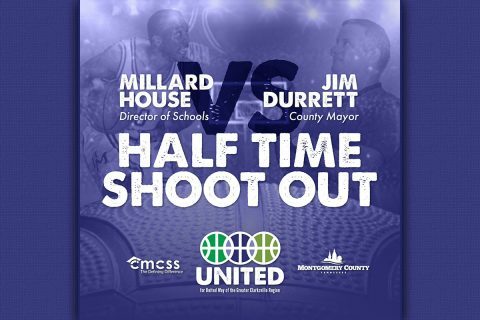 Montgomery County, TN – Clarksville-Montgomery County School System and Montgomery County Government have teamed up this year to raise awareness and funding for the United Way of the Greater Clarksville Region. On Saturday, February 17th, 2018 at 7:00pm, Austin Peay State University will host Montgomery County and CMCSS United for United Way Night during the APSU Men’s Basketball game vs. Jacksonville State. Clarksville, TN – Austin Peay State University, which turned 90 in April, experienced another big year, with new buildings and programs transforming the campus over the last 12 months. Women’s volleyball and men’s football electrified the community this fall, and in August, thousands of people cheered as the afternoon sky went dark for nearly two minutes. 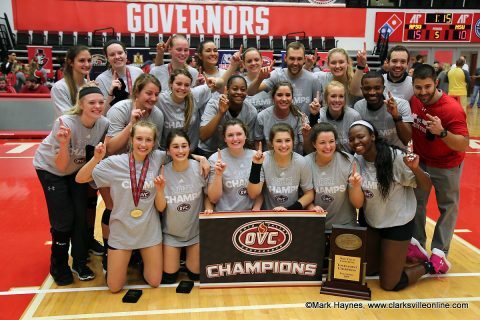 As this 90th year comes to an end, here are some of the major stories that came out of Austin Peay in 2017. The Austin Peay Volleyball team is the 2017 OVC Champions. 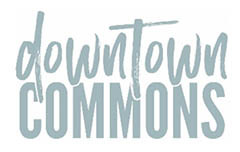 Montgomery County, TN – The Downtown Commons Holiday Ice Rink is currently open Monday through Friday at 5:00pm, Saturday at 11:00am, and Sunday at 2:00pm. 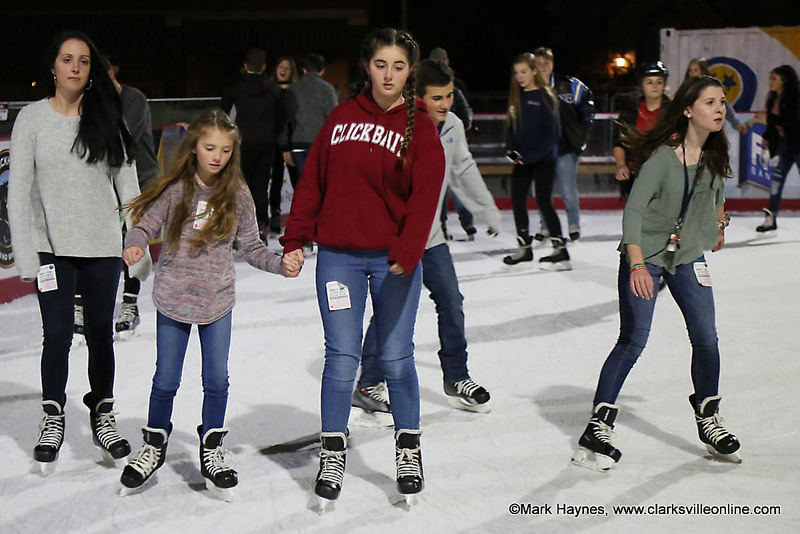 Each night the last skate session starts at 8:00pm. Reservations are not required but are recommended for groups larger than ten during evening sessions. Private Ice Sessions are also available by reservation. 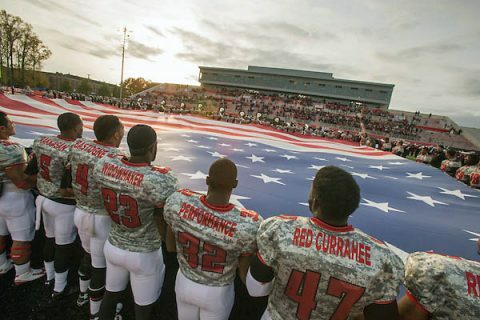 Clarksville, TN – Austin Peay State University (APSU), one of the state’s leading providers of higher education to military-connected students and their families, has a long history of supporting veterans on campus and within the community. This month, in recognition of Veterans Day, the University is hosting several events in honor of the men and women who have served this country. Clarksville, TN – The All State, Austin Peay State University’s student newspaper, earned eight national awards at the 2017 Fall National College Media Convention in Dallas, Texas, on Saturday, October 28th, 2017. The conference was presented by the Associated Collegiate Press and the College Media Association. 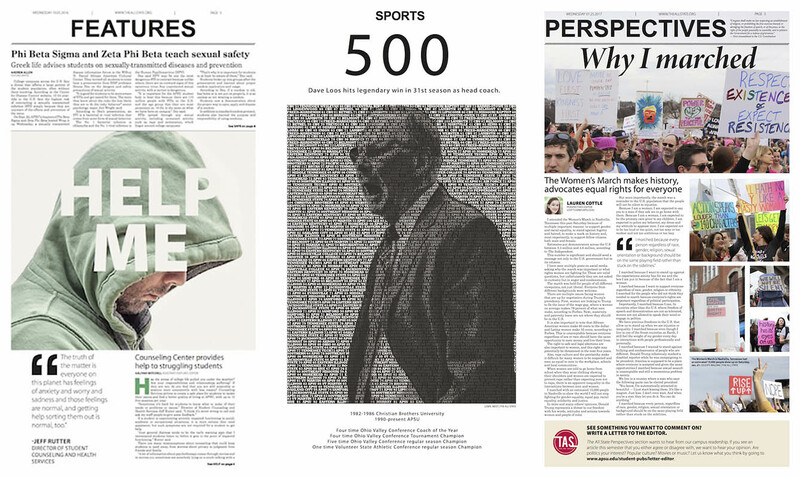 Austin Peay State University’s student newspaper The All State comes away with eight National Awards from 2017 Fall National College Media Convention held in Dallas, Texas. 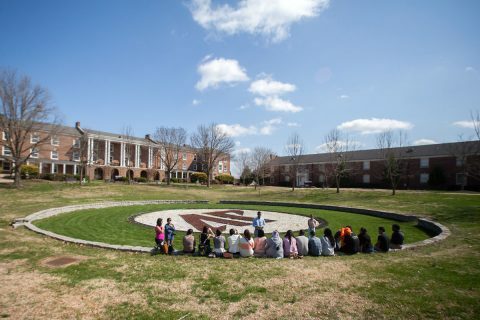 Clarksville, TN – In a few months, Austin Peay State University will officially turn 90, and anyone who happened to be on campus when the school first opened in the late 1920s would likely not recognize it today. Clarksville, TN – The Dave Loos Basketball Camp will be held June 6th through June 9th, 2016 at the APSU Dunn Center. Registration is Monday, June 6th from 7:30am until 8:45am. 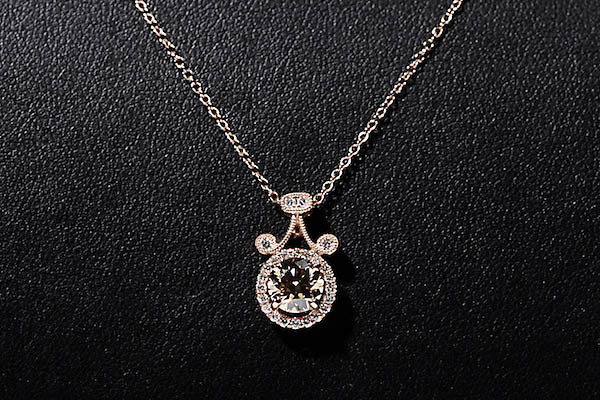 Cost is $125.00. 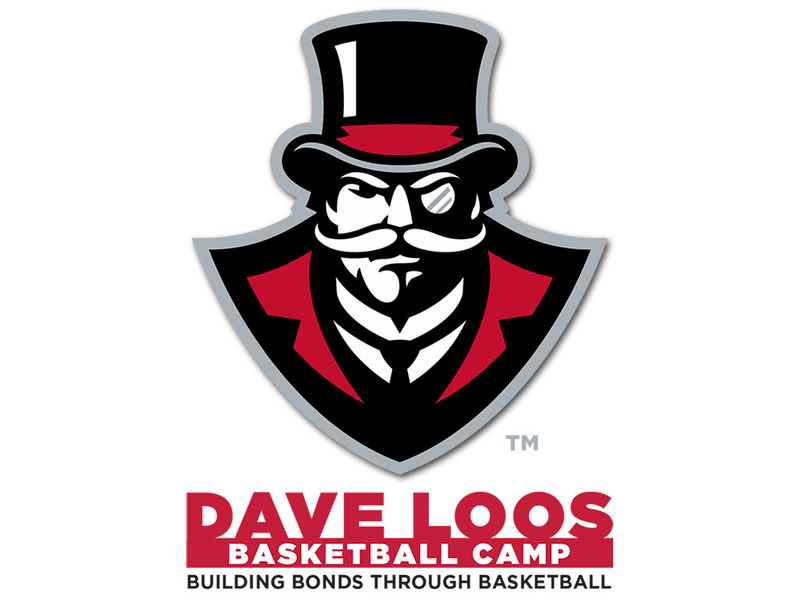 The Dave Loos Basketball Camp is designed to provide campers the opportunity to improve basketball skills through the reaching of solid fundamentals, all while building character, spending quality time together, fostering relationships and bonding through the game of basketball. Clarksville, TN – Due to inclement weather, the Altra Federal Credit Union Half-Court Shot event has been re-scheduled for February 20th. 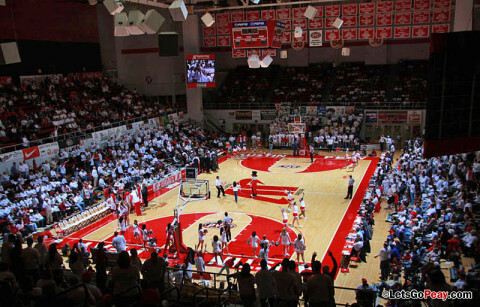 Altra Federal Credit Union will offer one Austin Peay State University student the opportunity to win one year’s tuition up to $15,000 at half-time of the APSU men’s basketball game on Saturday, February 20th at the Winfield Dunn Center.